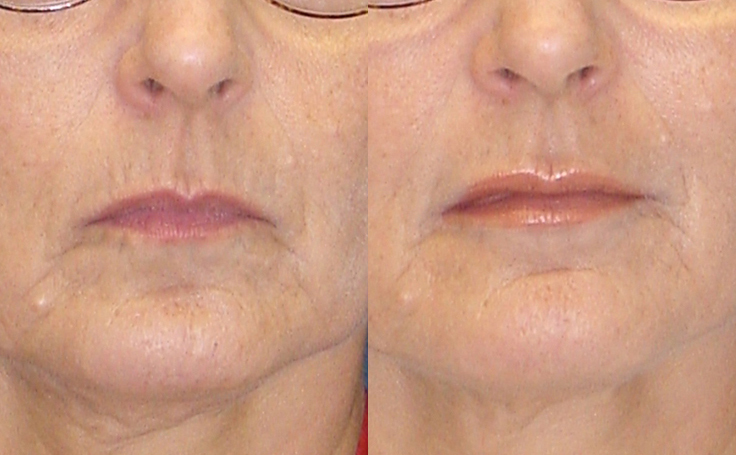 This patient was unhappy with her thinning lips and also wanted to get rid of the wrinkles around her lips. See her before and after pictures of her Lip Augmentation performed by Dr. Rodriguez in Baltimore. This patient was unhappy with her thin lips and had noticed that they had thinned out as she became older. Additionally she wanted to get rid of the wrinkles around her lips. Dr. Ricardo Rodriguez performed lip augmentation on the patient using round Advanta implants in both the upper and the lower lips. 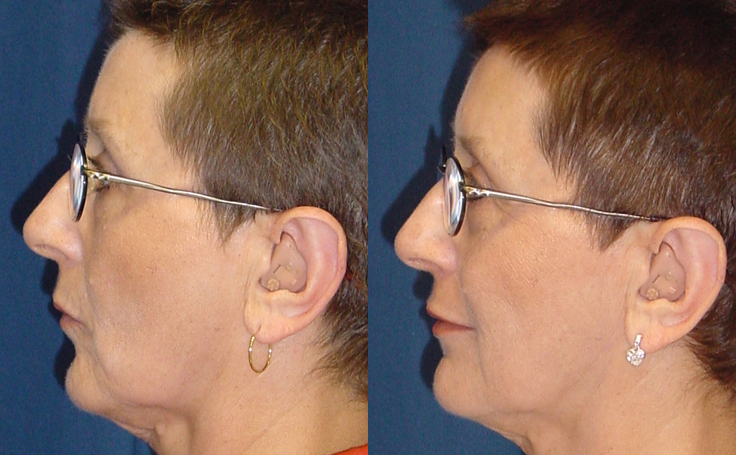 Both goals were achieved with the procedure and her beautiful smile was more noticeable following the surgery. The surgery was performed in Dr. Rodriguez's office in Baltimore, Maryland.